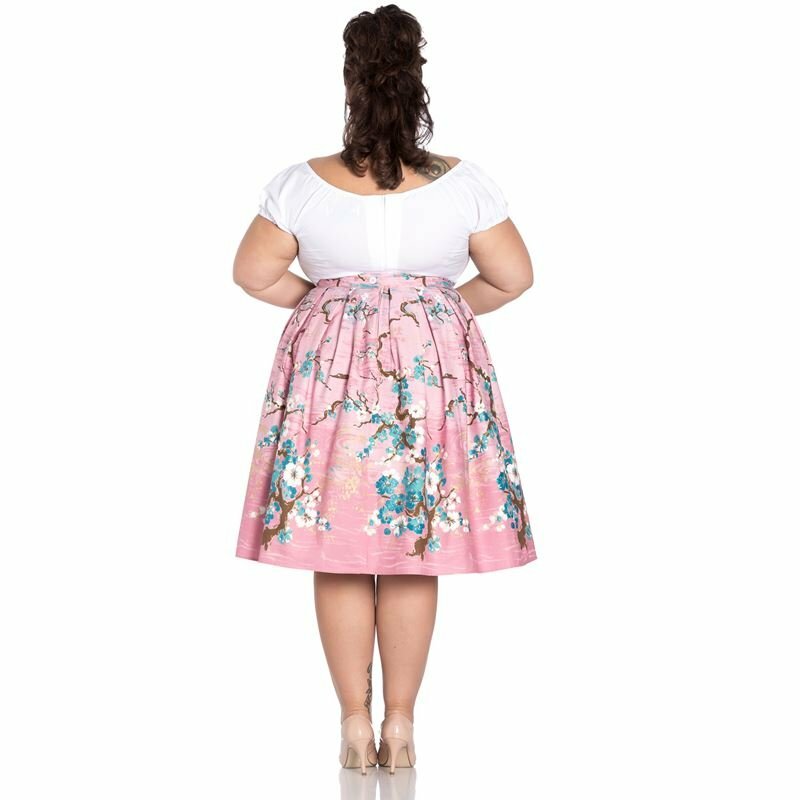 Beautiful 50s style skirt with a pretty floral and tree branch pattern on a pink background. Please note that some of the blue flowers have patches of blue glitter on them. Waistband with button fastening and invisible zip to centre back. Skirt pleated into waistband. Side pockets. Model is wearing skirt with an ivory Wendi cardigan, available to purchase separately. 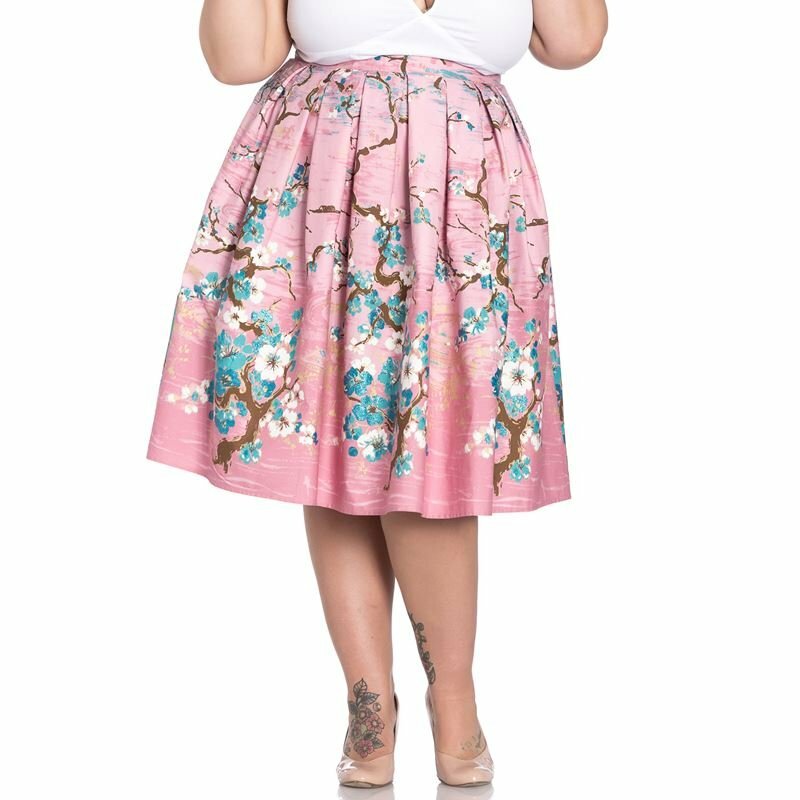 Top is not included with skirt. Hand wash only (take care when washing due to the glitter - best to wash inside out). Do not tumble dry.